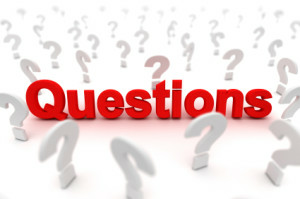 DUI Questions? Find Answers Here! DUI is known by many names across the United States, including DUI, DWI, OVI, OWI, Driving Under the Influence, and Operating or Driving While Intoxicated, Drunk Driving, and more. DUI is a criminal offense that can impact your life permanently, including your job, future, and personal life. Every year, approximately 1.4 MILLION people are charged with DUI in the United States. reduced from 0.10 to 0.08 nationally, and is even lower in many states for commercial or under 21-year-old drivers. Because of the strictness and social stigma of drunk driving laws, even first time offenders may face severe penalties, including mandatory jail time, court-ordered placement of an Ignition Interlock Device (IID), thousands in legal fees, court fines, community service, DUI school, drug or alcohol treatment programs, a permanent criminal record, and more. If you have been recently charged with a DUI / DWI / DWAI, you will likely face more than one charge, which may be surprising for first time offenders who thought they were only violating a traffic law. Firstly, the arresting officer can take away your license if you refuse to take a breathalyzer test. 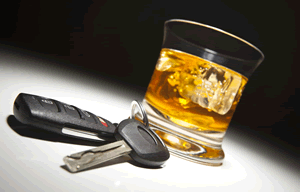 Refusal to submit to a blood alcohol level test can also result in extra fines and jail time. Repeat offenders are charged even more severely, as well as those involved in an aggravating circumstance such as an accident, and may have to pay fines up to $10,000 and spend several years in jail, depending on the severity of their case. Similarly, all states follow a zero tolerance law for drivers under the age of 21 years to have any amount of alcohol in their blood system. Jury trials often bring no sympathy to drunk drivers, as they are perceived as 'evil. People charged with DUI should understand that a Driving While Intoxicated conviction not only affects their lives, but it also affects the lives of that person's friends, family, and co-workers. There is always the threat of spending time in prison, suspension or loss of your driver's license, possibility of huge fines, increase in auto insurance, potential loss of job as well as prospective employment opportunities, along with an embarrassing criminal charge on your record. If your defending DUI lawyer or DWI attorney and their respective firms appeal for probation or an alternative conviction, you may have to serve community service, install an ignition interlock device on your vehicle that you must blow into every time you want to drive somewhere, agree to random drug testing, spend time at home in the form of electronic home detention, take mandatory drug, or alcohol education classes even if you have not had any addictions in the past. The results of a DUI trial can vary substantially, and duidwi punishments include a range of issues. These charges and penalties can really mess with your mind, never mind your pocket and your social relations! That's why it's so important to take your case seriously, get the right information, don't tell the police more than you should, and if you have been arrested hire a qualified DUI attorney to represent you in court, because the laws that are posted may or may not apply in your case and to your crimes. How do you go about finding the right DUI/DWI attorney? If you are charged for DWI/DUI, you should immediately contact a qualified DUI lawyer who deals in and drunk driving defense to represent you and requires you to file an appeal (successfully) on your behalf within working 7 days. Why within 7 days? Because many states bring a separate motor vehicle charge against a drunk driver than will result in their license being suspended and/or revoked (i.e. you're guilty before prosecutors schedule a hearing) for a period of time if you don't respond to being arrested very quickly and have losing your license stopped. Some persons vehicles become impounded, and they don't know that they should petition the DMV to keep their license throughout the legal process, etc. MyDUIattorney.org is a website directory which lists DUI / DWI attorneys and DWI / DUI lawyers, some of whom are members of the National Association of Criminal Defense Lawyers (NACDL) and have experience in DUI Defense and helping people settle and/or mitigate their charges. Some of them are also members of the National College of Drunk Driving Defense (NCDD). The directory lists DUI lawyers according to the state, county, and city you were arrested in and you can even find and schedule consultations with DUI/DWI attorneys who handle the nuances of the local county and city laws, and who understand how DUI cases are dealt in local courtroom proceedings, whether felony or misdemeanor. Most of the lawyers listed at MyDUIattorney.org have been practicing as DWI lawyers for several years and understand the charges that you will be facing in cases of DUI (Driving Under the Influence), DUII (Driving Under the Influence of Intoxicants) and DWI (Driving While Intoxicated). They are familiar with local laws in their state or county as they relate to DUI charges. This allows them to defend drunk driving offender, giving the possibility of reducing the charges ordered by the court so their future is not greatly affected by a permanent criminal record and a lack of sobriety. If you or someone you know has been charged with DUI, it's best to make sure that you understand what you have been charged with before hiring a qualified lawyer to defend your case. All DUI attorneys on this site can be called (their phone numbers are listed) or emailed for consult 24 hours a day, 7 days a week, whether you live in Orange County, New York, or Hawaii — all 50 states. As we work to help thousands of poor souls charged with DUI each year, we would advise all our readers who are reading this message to be responsible for your actions. If you plan to spend the night at a bar or party out, no matter how much you think that you will be able to drive after having one or two drinks, you should avoid it at all costs. Hire a cab or taxi or ask a friend to drop you off, because once you as an individual are charged with DUI or DWI, the consequences are beyond "not worth it", and having your freedom protected is critical, so don't. Your DUI conviction may disappear from your mind after a few years, but a criminal record will stay with you for a long, long time. Is your employer notified after you've been arrested for DUI? A habitual offender is a person who has convicted crimes in the past, either in the same area of offense or in different areas. All branches of emergency responders, whether it be an EMT, a firefighter, or a police officer, work closely together to serve and protect the citizens they help everyday. By submitting my information, I agree to the Terms & Conditions. I consent to receive phone calls and/or text messages from MyDuiAttorney or their attorney network at the number(s) above in order to complete my evaluation, and I agree that these messages may be auto-dialed or pre-recorded. I understand that consent is not a condition of purchase.